today's image on my art table is a commission i recently finished for an awesome client with a cool sketchbook. his book is filled with two characters facing off and he asked me and theFranchize to draw Flame Princess VS Princess Bubblegum. his only request is that they be drawn like mainstream comic look and not the Adventure Time art style - basically, draw them in our styles. 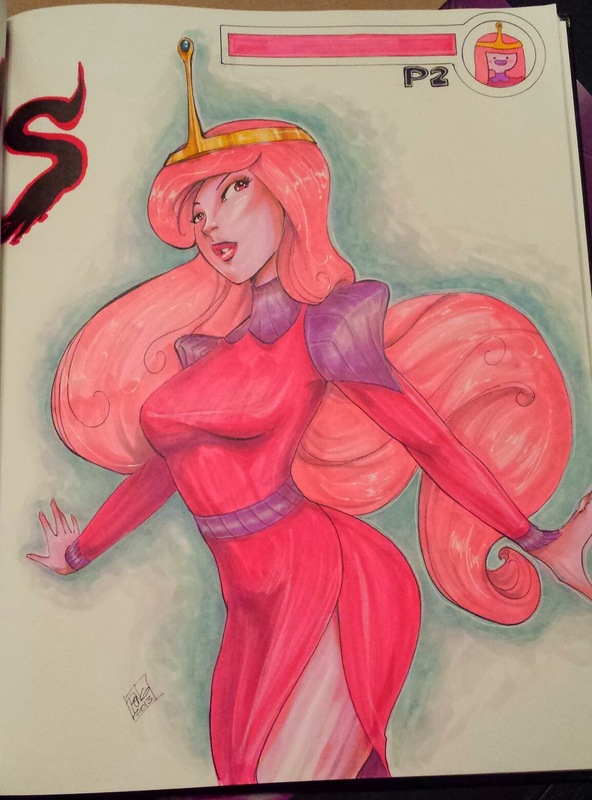 so this is my take on good ol' PB in a more grown-up version of her pink and purple princess dress. once theFranchize finishes his flame princess, i'll post the two facing pages together. this was drawn with my black copic drawing pen and copic markers of various pinks and purple shades. =D and, of course my white colored pencil and gel pen.